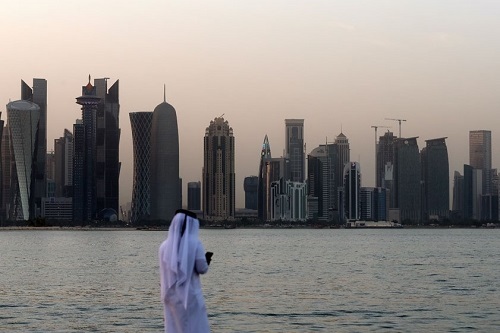 One year ago, four key countries – Saudi Arabia (KSA), the United Arab Emirates (UAE), Bahrain and Egypt (“the Quartet”) – cut diplomatic ties and imposed a “draconian” blockade on the State of Qatar over its alleged support of terrorism and close relations with Iran, which Qatar rejects categorically. 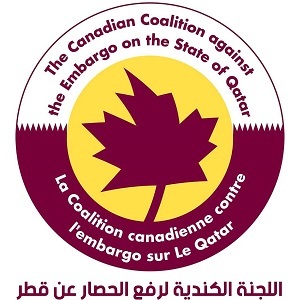 In a recent human rights fact finding study mission a Canadian independent delegation found that the embargo on trade, airspace exclusions imposed on Qatar Airways and prohibition of family reunion are considered a collective punishment on the Qatari population. The National Human Rights Committee (NHRC) documented at least 13,000 cases of human rights violations, which are corroborated by other international human rights organizations, such as the United Nations Office of the High Commissioner for Human Rights (OHCHR) and Human Rights Watch (HRW). “Canada has been a consistently strong voice for the protection of human rights and the advancement of democratic values”… and as such, the delegation invites the Government of Canada, the Parliament, human rights organizations and advocates, and all Canadians to speak strongly the truth about this crisis. All stakeholders should be mobilized to highlight the injustice, name and shame the perpetrators, present the suffering of the real people, and emphasize the impact regarding religious freedom. Canada’s friendship with those in the region is not in question, and the delegation is not in a position to make an informed judgement about the political situation and the basis for the 13 claims. Nonetheless, the delegation is positive on the fact that populations on all sides are hostages to this situation; families are separated, students have lost their education investment, businesses have been burdened, and freedom of speech and mobility are threatened. Canada, in concert with other like-minded countries, should use its soft power for mediation and rapprochement of the different points of view to ease the suffering of ordinary people. While few might not feel the need to express excessive sympathy for the losses to one of the wealthiest per capita countries in the world, the personal losses in terms of properties, business and equipment, we consider these to be undoubtedly significant. We believe that human rights shall not be partial or distorted based on social or economic status. Canada should stand by its international obligations and be a strong voice for the rights of Qatari and non–Qatari citizens to be heard at all national, regional and international levels. The delegation encourages the Canadian authorities to seek a quick resolution to Qatar Airways claims to the ICAO. The additional air traffic and strains on the airline will undoubtedly affect Canadian international interests (e.g. greenhouse emissions, open skies, safety and security of international air traffic). The delegation invites Canadian higher education institutions to offer alternatives in education for Qatari students stranded by the Quartet countries. The delegation calls human rights organizations and religious groups of all faiths to pressure the Government of the KSA to reinstate the rights of Qatari worshippers. It is unacceptable in the 21st century to prohibit any human from exercising their religion or beliefs for political or other discriminatory motivations. Access to the holy sites of Islam should not be politicized. The delegation believes that it is in the interests of the international community to seek a quick and honourable resolution to the political crisis. Canada should use its soft power and friendships to encourage all parties to resume face-to-face negotiation to end human rights violations. The Middle East has enough conflicts already, and the blockade exacerbates merely the security situation and instabilities in the region.